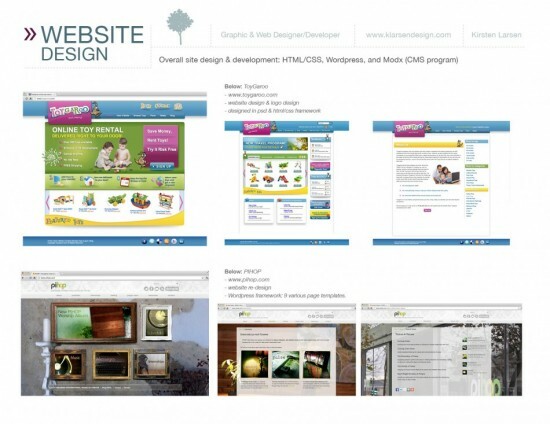 Over the course of 8 years, I have worked in a wide variety of design settings, becoming very comfortable with both the print aspect of design, as well as the design and development of interactive websites. I have worked both within team environments in-house, as well as independently working on projects. Understanding of business practices such as financial development, communication, and project management. Freelance, Independent designer. Interact with clients to successfully create visual solutions, create and promote identity and effectively brand organizations using both graphics and website design and implementation. Worked to build a non-profit organization, within a high pace environment in a leadership role to help build a web and graphic presence, trained others in different areas of the organization, created manuals, schedules, led and directed teams, workshops and more. Worked both in-house and as a contractor within both the Education & Training department and the Communications and Development department to develop training manuals, develop the web and all promotional materials. Design and Prepress assistant, and customer billing. © 2019 Kirsten Larsen. All rights reserved.